What he lacks in higher education, Afzal makes up for with his knowledge of this warren of dusty shops, the latest phase in a century-long fits-and-starts process of formalization. The history of Lily Pond and its previous iterations says a lot about Chennai’s uneasy relationship with informality, and its blunt-force efforts to corral its unregulated service sector. The Lily Pond Complex represents a drop in the bucket of India’s ten million street vendors, who occupy approximately two percent of the country’s urban land, most of it illegally. Their illicit status means that vendors wage daily battles with local authorities, and face uncertain tenure and the constant threat of eviction. The vendors at Lily Pond are unusual, however. Now paying rent in this four-story building of 857 shop units, they have become a relatively formalized group. Whether this is progress depends on who you ask. The push toward formalizing Chennai’s street vendors started at least 115 years ago, according to Afzal. In 1898, Sir George Moore, the British president of the Corporation of Madras (this city’s former name) established the Indo-Saracenic, brick-work Moore Market to house street traders who were obstructing the public space near the Madras high court. For 80-plus years, the market served as a civic landmark, a messy quadrangle of hundreds of shops trafficking in vegetables, meats, exotic pets, antique curios and second-hand books. As landmarks of the British regime fell out of fashion, however, Moore Market was eyed as a location for a new parking complex. When a fire gutted it in 1985, the vendors were forced back onto the sidewalk outside. Their new location in exile, with its heavy foot traffic, proved ideal for making sales, and the market flourished. But in 1992, Chennai again decided to formalize the vendors. The city constructed the Lily Pond complex on a nearby pond that had been filled with the Moore Market’s demolition rubble. Vendors were resettled in the new building’s five-by-five-foot concrete bays, each connected by ramps to provide easy access for shipping and receiving merchandise. And there they sit today, in dull gray spaces with roll-down doors that make the shopping center feel more like a dreary storage facility. The lack of pedestrian activity means customers are scarce. Plus, the place is partially empty — when it was built, Chennai sought to auction off the 857 shop spaces, but only 593 were taken. During several recent visits, only a handful of shops on the ground and first floors were open, and on the second and third floors, inconvenient for potential customers to reach, even fewer were occupied. Because of the vacancies, these upper floors are now blighted, their desolate corridors filled with sleeping drunks and the overpowering stench of human waste. Afzal has been a tenant at Lily Pond since the late 1990s. 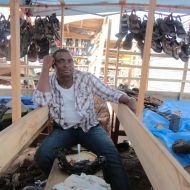 His shop specializing in commerce and business-management textbooks sits in the better real estate on the ground floor. But even though his monthly rent of 1,200 Rupies (or $24 U.S.) is about one-tenth of what commercial realtors typically charge in this city, he’s tired of complaining to his Corporation of Chennai landlords about the lack of running water, missing toilets, unsanitary conditions, and dearth of security. His landlords refuse to maintain such basic provisions because they claim that many other tenants are behind on their rent. The complex is less dangerous than it used to be, Afzal says, but far from ideal. 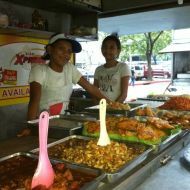 The example of Lily Pond throws into sharp relief the often rigid, uncreative, all-or-nothing approach to street-vendor formalization. 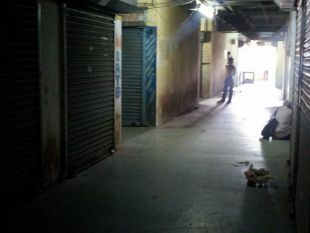 The lack of flexibility is embedded right into the city’s code — according to the Corporation of Chennai’s Land and Estates Department: “[A]ll vendors on footpaths and pavements are illegal because these structures are meant solely for pedestrian passage.” As such, the civic body has begun a program of evicting street vendors like Mr. Afzal and resettling them in multi-story shopping complexes. 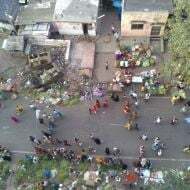 Street vendors are not consulted on the designs or locations of these facilities, and many can’t afford the rents or don’t have the resources necessary to bid on available shops. But a decade-long campaign to recognize the rights of Indian street vendors is finally bearing fruit. In September, parliament introduced the Street Vendors (Protection of Livelihood and Regulation of Street Vending) Bill. 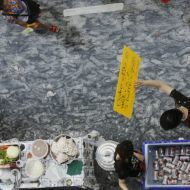 The legislation, in theory, would assist municipal authorities in regulating “hawking activities” by establishing a fee-based street-vendor registration system complete with identity cards and designated vending zones. 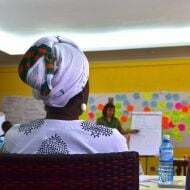 Harsh Mander, a noted Indian social activist and academic, considers the bill “opaque and confusing.” But other vendor-rights advocates are warily optimistic that it could improve things. They’re demanding amendments to mandate vendor participation in setting licensing procedures and determining sanctioned locations. On paper, the bill goes a long way toward identifying and protecting street vendors’ livelihoods. In reality, on the other hand, the life of a street vendor in India can’t be stabilized so easily. Chennai is in the midst of a construction boom, which could spell good news or bad news for Lily Pond. Nearby renovations for the historic Ripon Building and Victoria Town Hall, as well the construction of a new Chennai Metro Rail station, are improving the neighborhood. But should the area become desirable, Lily Pond may fall victim to an “accidental” demolition. Few of the vendors can afford the legal recourse to protect themselves if that happens. For now, though, things are looking up. 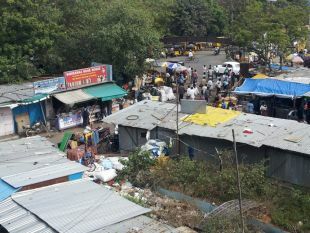 Tenants lobbied the Corporation of Chennai to allow street vendors to set up temporary stalls outside the complex amid the heavy foot traffic. These days, this outdoor area is often abuzz with activity even as the indoor section languishes. And the complex has maintained a good reputation for used books and colorful pets. 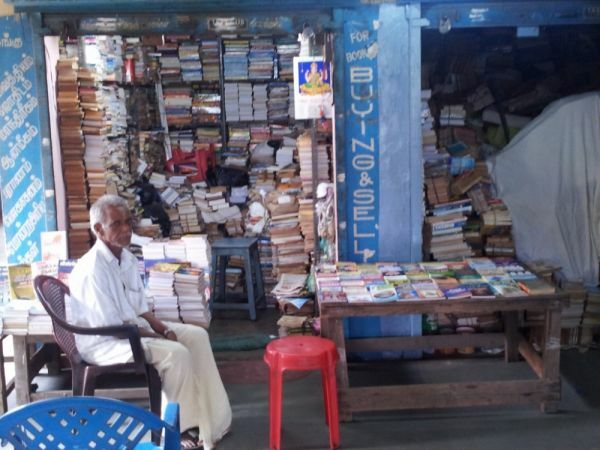 Recently, the bookstalls outside were stacked deep with cheap textbooks as engineering students from Chennai’s many universities flocked to the market to stock up for the spring semester. Young children squealed at the sight of enormous fish that barely fit into glimmering aquariums, and the outdoor vendors I spoke to were thankful for the access to the torrent of passersby.